- Wrangell Alaska Fishing Charter Book your 2019 charter fishing trip today! Wrangell is a picturesque Island in the heart of southeast Alaska with access to some of the most premier recreational opportunities in North America. Fishing the Inland Passage being at or near the top of that list! Night N Gale Charters offers a personal and private experience fishing for several species of Salmon; halibut and Rock Fish! As a top-rated Wrangell fishing charter, we provide professional and memorable trips. As well as the chance to view Alaskan wildlife up close! Call us today - your adventure awaits! The waters surrounding Wrangell hold all five Salmon species native to Alaska. King and Silver Salmon are our primary target, and by far the best table fair. King or also known as Chinook Salmon returning to the Stikine and surrounding rivers are abundant in the months of May and June, offering our anglers the opportunity to catch the largest and most powerful of Pacific Salmon. As the King run tapers off Silver or as known as Coho Salmon start to show up following their migration home to their native spawning grounds. Silver Salmon can offer intense and fast action fishing, often two or three fish on at a time! Silver's weighing in at 8 to 10 pounds and often pushing up to 20 pounds can make for an intense and memorable experience. One of Southeast Alaska's best kept secrets! Halibut fishing in and around Wrangell can be as exciting and productive as anywhere in the state. During the summer months these giants of the Pacific are drawn in to feed on spawning Salmon making for incredible shallow water action without the reel fatigue of some of our deep offshore fisheries. Night N Gale Charters is dedicated on finding and producing incredible Rockfishing within the protected waters of the Inside Passage. 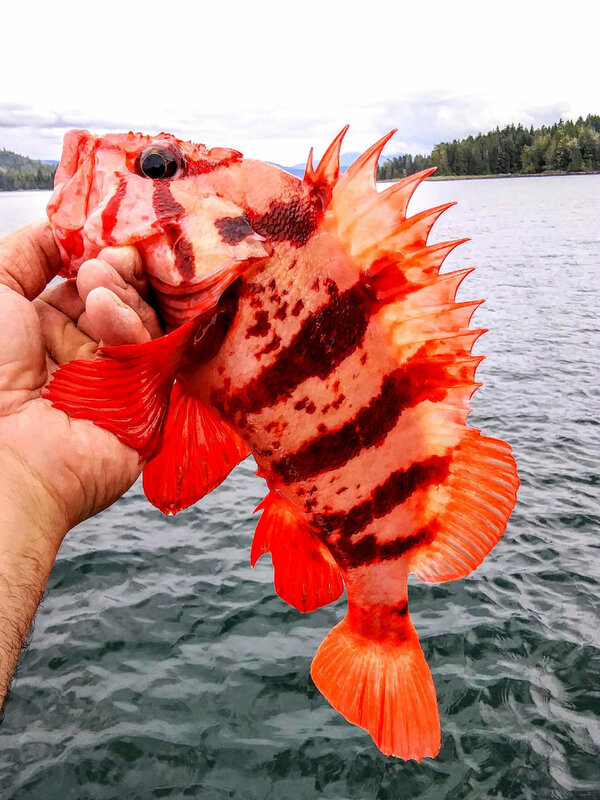 Whether its Yellow eye, Lingcod, or any other multitude of Rockfish species you seek, we can take you there. Rockfishing is your guides favorite fishery! Please don't hesitate to call! We are happy to hear from you and answer any questions you may have! Email us your questions, book a trip or send us your recent charter pics today!